According to a treasure trove of newly released documents known collectively as “Vault 7” in the “Year Zero” series, not only does the CIA conduct improper electronic surveillance, it does through using technology that can tap into smart TVs, iPhones, Android devices, and other wireless handheld technology. “The increasing sophistication of surveillance techniques has drawn comparisons with George Orwell’s 1984, but ‘Weeping Angel,’ developed by the CIA’s Embedded Devices Branch (EDB), which infests smart TVs, transforming them into covert microphones, is surely its most emblematic realization,” said a press release from WikiLeaks. “The attack against Samsung smart TVs was developed in cooperation with the United Kingdom’s MI5/BTSS. After infestation, Weeping Angel places the target TV in a ‘Fake-Off’ mode, so that the owner falsely believes the TV is off when it is on. In ‘Fake-Off’ mode the TV operates as a bug, recording conversations in the room and sending them over the Internet to a covert CIA server,” it added. So in other words, even if you’ve turned your TV and devices “off,” the CIA’s technology, via wireless connections, can still transform them into listening devices, which records conversations and data and sends them to a remote CIA server for later downloading and analysis. The government’s spy agencies, then, can literally steal any and all data they want, thereby giving them the power to create false narratives, phony email traffic, fake communiques and anything else they want in an effort to blackmail or destroy anyone they choose. A journalist getting too close to Deep State activities? 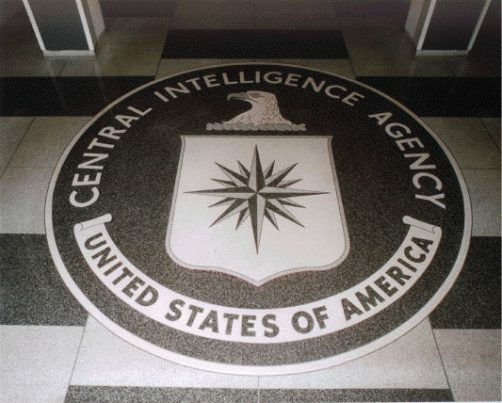 No problem – the CIA has the ability to bug their homes remotely, through smart devices, or steal their data and other information that may incriminate them, forcing them into silence. A politician who opposes expansion of the Deep State’s power? No problem – just a few months’ worth of bugging his or her devices, and the nation’s premier spy agency has all it needs to coerce said problematic politician into playing ball. And even though iPhone held a minority share (14.5 percent) of the global market, a specialized CIA unit within the agency’s Mobile Development Branch produced malware that infects, controls and then extracts data from iPhones and other Apple products that are running iOS, like iPads and, presumably, iMacs and Macbook Pro laptops. A similar unit is said to have targeted Google’s Android devices, which runs the vast majority of the world’s smart phones (about 85 percent, roughly). “’Year Zero’ shows that as of 2016 the CIA had 24 ‘weaponized’ Android ‘zero days’ which it has developed itself and obtained from GCHQ, NSA and cyber arms contractors,” said the press release. Feel violated yet? You should.